Benefits of stretching for Seniors: Stretching feels so good and it’s so easy. It simply takes time and patience to enjoy those benefits. Allow yourself the time to relax into your exercise stretches routine. Chronic muscle pain needs to be diagnosed first. If you are in this situation, make certain to check with a health provider before you launch into an stretch. However, in my experience I have noted that diligent and correct exercise stretches will cure a myriad on chronic conditions. Flexible muscles can improve your daily performance and you'll enjoy the benefits of stretching with a committed effort. Flexible and strong postural muscles that you have acquired through doing our POSTURE EXERCISES will improve alignment and enhance your posture and help alleviate back or neck pain. An example: If hamstrings are tight, and because they are attached to the hip, they may pull on the hip causing not only lower back pain, but a “flat back”- not a healthy postural alignment. Our link on the pic will be a wonderful way to help you alleviate these problems. Remember also, that strengthening core muscles with the BEST AB EXERCISES is an excellent move. Good posture can minimize discomfort and keep aches and pains at a minimum. Another page to consider is related to posture. BALANCE: is improved, in part, by flexible postural muscles which help maintain mobility in both muscles and joints. Coordination and balance are benefits of stretching which will keep you moving easily with less likelihood of injury as you age. Again, it is the 2 sided coin -strength on one side and flexibility on the other. Check with our Stability Ball Exercises to understand what will work for you. 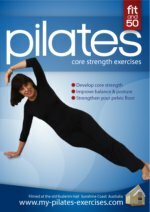 There are also plenty more Illustrated Stretching Exercises for all your muscles groups. Check the link. Stress relief - Stretching relaxes tight, tense muscles that often accompany stress. Inflexible muscles are stagnating. If you body is stressed, your mind will be stressed. It works on both levels physical(body) and mental (mind) - the mind body connection. So, if you're living with emotional stress, you may find that stretching will help alleviate it. Stretch involving the spine is useful and the fitness ball exercises particularly so. Check our link below to illustrated stretching exercise page.Do you suffer from tight neck and shoulders? Women often suffer stress through tight neck and shoulders, so would you like a simple little TIP? Guaranteed to make a huge difference in your life, so long as you remind yourself frequently. Stand tall. Take a deep breath in and as you exhale, draw your shoulder blades down towards the floor – remind yourself to do this frequently during the course of the day. You'll be amazed at the effectiveness of this simple movement. NECK STRETCHES. - CLICK here for top neck stretches. 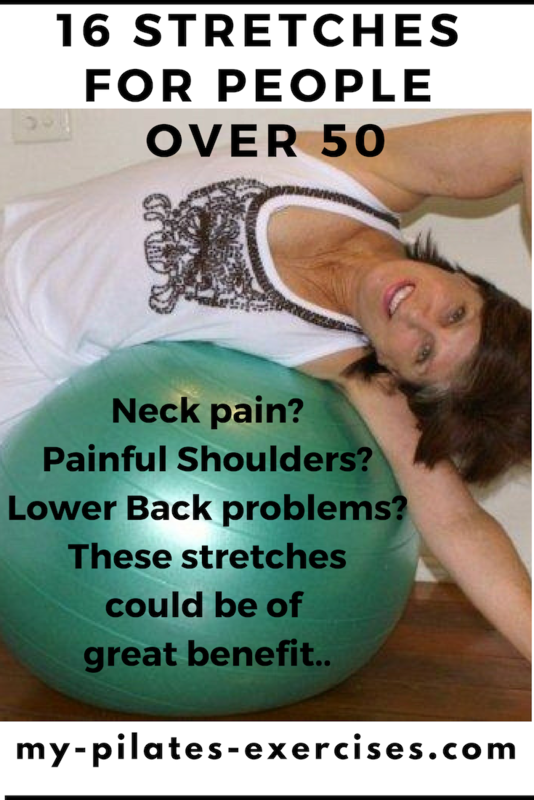 Benefits of Stretching for Seniors: Happiness! Breathing while Stretching: When we're stressed, we breathe shallowly into the top of the chest. Stretching is a perfect opportunity to use our deep breathing technique.
. And don’t forget to DRINK lots of water. The benefits of stretching are truly wonderful. Because your body will feel better, you will feel better and more confident about yourself. Carry yourself tall and always make a statement when you enter any room!! LOVE IT!! Would you like a free posture check-up? This is available to you when over in the right hand column.